PASSE THE YOUNGER, Crispijn de and Jan VOS]. Verklaringe van verscheyden kunst-rijcke wercken en hare beweginghe, door orlogie-werck ghedreven, Alles te sien in 't Oude Doolhof tot Amsterdam, op de hoeck van de Loyers-gracht.Amsterdam, Tymen Houthaeck, 1648. Small 4to. With engraved title-page with vignette showing a labyrinth, 1 folding engraved plate, 1 full-page engraved plate by P. Holsteyn after A. Vinckenbrinck and 3 engravings in text. Modern marbled wrappers. - Franken 1375 (note); Meijer, "Het oude doolhof te Amsterdam", in: Oud Holland vol. 1 (1883), pp. 119-135; Spies, De Amsterdamse doolhoven, pp. 70-71. Extremely rare booklet (only one other copy could be traced), the first edition with a description by Jan Vos of a garden, or amusement park, called 'Oude Doolhof' (Old Labyrinth or maze), published as a souvenir or 'flyer'. This first Doolhof, called the 'Oude Doolhof', was founded at the Looiersgracht at Amsterdam by the wine merchant and inn-keeper Vincent Jacobsz. Coster before 1625. In fact it was a kind of combination of a seventeenth-century 'Madame Tussauds' and an amusement park. The garden was composed of a labyrinth in which fountains and automata were displayed, showing historical & biblical figures and spectacles. The illustrations, according to Franken implicitly after C. van de Passe (who lived also at the Looiersgracht at the time), show the sights and spectacles of this labyrinth. The lower corner of the title-page and the first plate gone. Very good copy of this rare souvenir. 1883 - taken in 1883, the year before she married the Grand Duke Serge, showing her with the Duke of Clarence, Princess Beatrice, her sister Alexandra (who became tsarina) the future Queen Alexandra, Grand Duke Ernest of Hesse, the future King Edward VII, princess Victoria of Hesse, princess Irene of Hesse, Victoria, Louise and Maud of Wales, prince Christian of Schleswig Holstein and his two sons, and her father the Grand Duke of Hesse, 6½" x 4½", taken at Balmoral, no date, c.
1883 - (1826-1883), "In Loving Memory of . Her Majesty's Personal Servant", with his name and dates, 'In Memoriam' on side 1 and 'Be thou faithful unto death and I will give thee the crown of life' on side 2, printed in varied but restrained lettering, 3 sides black-edged card folding to 3" x 4½", with the original plain black-edged envelope, no place, Provenance: via Eva Louisa, (d. 1949, aged 88), daughter of James Bontein, Gentleman Usher to Queen Victoria, wife, 1883, of Colonel the Hon. John Schomberg Trefusis, (1852-1932). NY: Charles Scribners Sons. Good+ with no dust jacket. 1883. 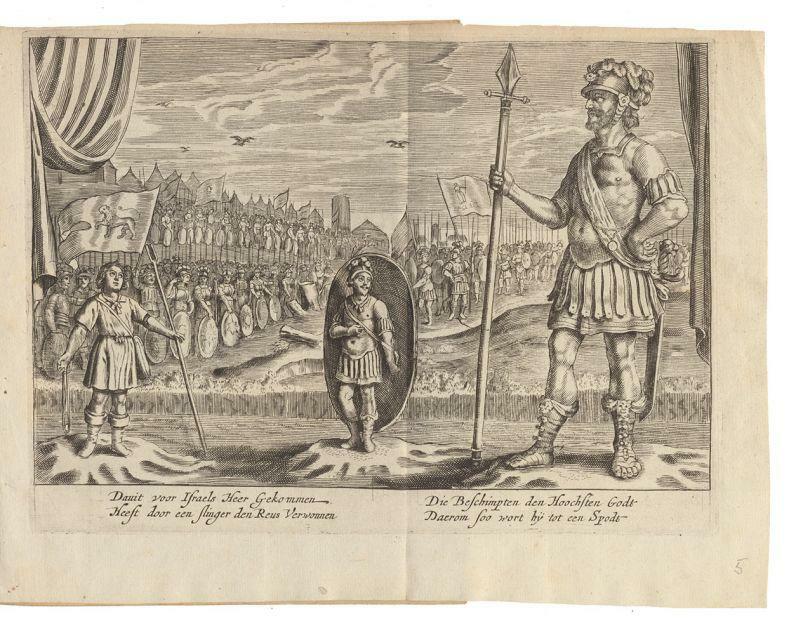 B&W Illustrations; BAL 16378 bound in an apparently very scarce black/brown leather with an elaborate stamped design differing from the brown cloth noted in BAL. River Campus Libraries has a picture of the binding on it's site that conforms to this one. The photo here has been exaggerated to show detail. Other than that if conforms to all first edition points including all edges orange. There were 510 sets of sheets sent to Sampson Low in England and this might account for it. Unsophisticated copy with losses to upper right edge of spine. Printed in red and black. Contents are firm and clean. Full bound in original black leather. In custom red morocco fall down case; 0 . SHANDON BELLS. A Novel. 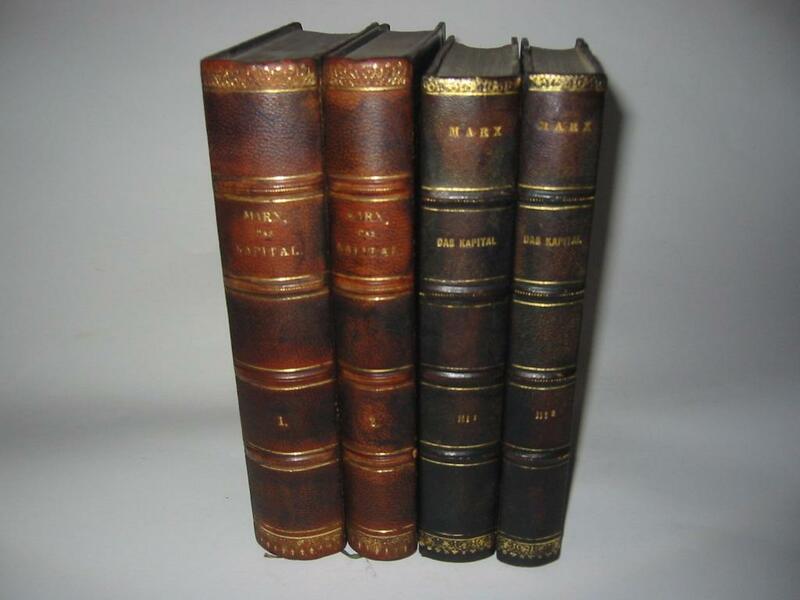 First Edition in Three Vols. BEAUTIFULLY BOUND IN CONTEMPORARY FULL DECORATIVE NAVY CALF BY ZAEHNSDORF and with AUTOGRAPH LETTER FROM THE AUTHOR Tipped-in ! Leipzig and Prague: G. Freytag [and] Tempsky, 1882-, 1883. 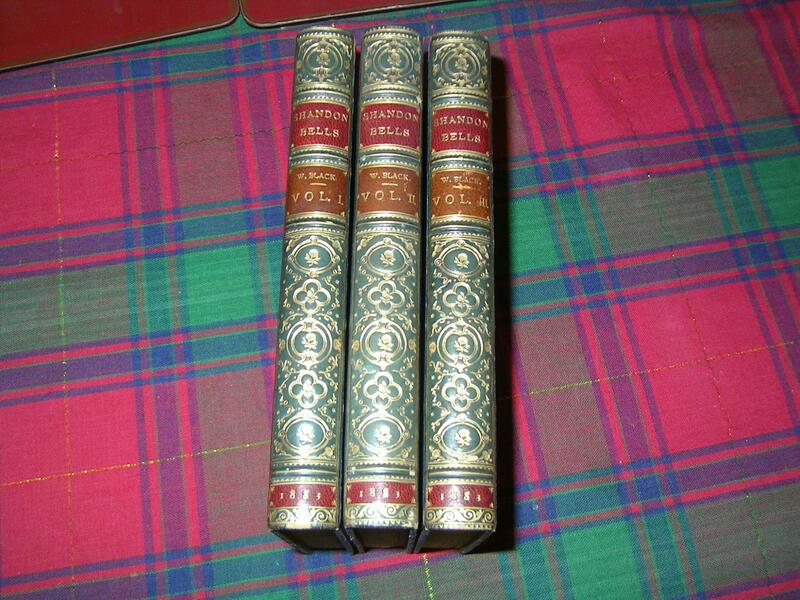 Four volumes, octavo, frontispieces in each volume, maps and other illustrations; original blindstamped green cloth. Influential German study of Australia, New Zealand and the Pacific. Karl Emil Jung, who had taught classics at Eton, emigrated to Australia in the 1850s, took part in several journeys into the interior, spent some years as a squatter, and worked as an educationalist including serving as Inspector of Schools for South Australia. He spent altogether more than twenty years in Australia, returning to Germany in the late-1870s where he wrote this extensive description of Australia and the Pacific with an audience of would-be German emigrants in mind. The book is divided into sections on: Australia and its native inhabitants; the Australian colonies including Tasmania; Melanesia, Polynesia; New Zealand; Micronesia.Jung became the German authority on Oceanic matters, and supplied information and articles on Australia and the Pacific to numerous periodicals, encyclopedias and text-books. His long stay in Australia had made him uniquely placed to give a comprehensive description of life downunder, and his book is very well illustrated with woodcuts, many of them full-page, of cities, landscapes, native peoples and natural features. Leipzig, Otto Harassowitz, 1883 - 1953. Einschlägige, facettenreiche Zeitschrift nicht nur über das Bibliothekswesen, sondern über das Buchwesen in seiner gesamten thematischen und kulturellen Vielfalt. 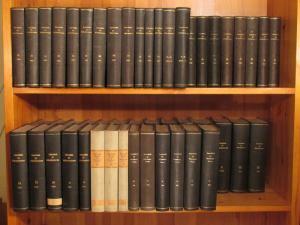 Enthalten sind auch zahlreiche bibliographische Artikel sowie Literaturberichte. Die Bände mit einigen Illustrationen sowie zahlreichen, teils ausfaltbaren Tabellen und Tafeln. Alle Bände in gutem, solidem Zustand. Geschlossene Reihe dieser einschlägigen Zeitschrift, die wie kaum eine andere die Kulturgeschichte des Buches reflektiert. Weitere Fotos auf der Homepage des Antiquariats (bitte Art.-Nr. auf der Angebotsseite in das Suchfeld eingeben). Atlas Universel de Géographie Moderne, Physique, Politique, Historique, Industriel, Commercial et Militaire. Adopté par le Ministère de la Guerre pour l'Ecole Militaire de Saint-Cyr. London: Cassell & Company, Limited,, 1883. Octavo. 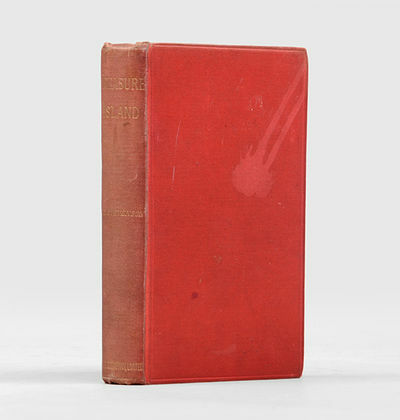 Original red cloth (the book was issued in various coloured cloth bindings), titles to spine gilt, covers blocked in blind with a single line border, black coated endpapers. Frontispiece map with captions printed in red, brown and blue, with tissue guard. 1901 catalogue details tipped in to head of front free endpaper verso, near-contemporary bookplate to the front pastedown, and ownership inscription to front free endpaper verso, another, contemporary, to head of half-title. Spine rolled and faded, light soiling to boards, light wear to tips, foxing to edges; a very good copy. First edition, first impression, with the following points: "dead man's chest" not capitalised on pages 2 or 7; the first letter of "vain" broken in the last line, page 40; the "a" not present in line 6, page 63; the "7" overstamped in the pagination on page 127; the full stop not present following "opportunity" in line 20, page 178; with "worse" in line 3, page 197; and the first state October advertisements, coded 5R-1083 (some copies have July and November advertisements, both of which were likely used later by the binder). Treasure Island was originally written as a pendant to the now-famous treasure map the author had drawn to entertain his young stepson "on a rainy day in the Scottish Highlands" (Grolier), and was serialised in Young Folks magazine from October 1881 to January 1882 under the pseudonym "Captain George North". It was only with the appearance of this first edition, however, that it received any kind of critical attention, and "was immediately hailed by critics as a classic". 1883. ANTICHI E DI PREGIO "L'ART JAPONAIS, PAR LOUIS GONSE L' art japonais, par Louis Gonse Paris: A. Quantin, 1883. 2 v. : ill. ; 37 cm ; 2° Tomo 1.: IV, 310 p. : in gran parte ill. Tomo 2.: 369 p. : in gran parte ill. Legature moderne in tela con piatti in carta colorata e tasselli al dorso. Esemplare n. 1236 di un'edizione pregiata a tiratura limitata (1400 copie), riccamente decorata con illustrazioni a colori e in b/n e con numerose tavole fuori testo a colori protette da veline. Sull'occhietto del tomo 2, annotazione ms.: Firenze XXXV Pietro Annigoni, (più il suo usuale Monogramma). Sull'occhietto del tomo 1, stessa indicazione, ma senza la firma. Sono 64 le Tavole fuori testo, protette da velina: 13 acqueforti, 21 fotoincisioni, 2 incisioni tipografiche in nero e oro, 10 cromolitografie e 18 acquerelli in cromotipografia !!! Innumerevoli le altre immagini nel testo... Si allega scheda bibliografica della biblioteca, di cui questi volumi hanno fatto parte, dello stesso ANNIGONI, celeberrimo Pittore, ormai famosissimo in tutto il mondo. Rara e splendida opera in due volumi completi e in ottimo stato di conservazione. Quest' Opera, notevole per l'imponente ed eccezionale apparato iconografico, è una delle testimonianze più significative dell' Arte Giapponese Antica, in tutte le sue forme: Pittura, Scultura, Arti applicate, Oggettistica, Vestiti, Armi !!! Due Voluminosi e Poderosi Libri, in FOLIO (cm 37 x 29 x 10,6 di spessore complessivo), rilegatura in mezza tela (anni 40, verosimilmente), piatti ricoperti di carta fiorata, con titoli e fregi in oro sui tasselli ai dorsi. COMPLETI !!! Visto il peso e la mole, si spediscono con Paccocelere3. Bruniture sulle veline di protezione delle Tavole; ottimi gli interni: GRAN BELL' ESEMPLARE !!!" No date. Ca. 1883. 30 black and white plates, sheet size approximately 11 3/8 x 14 5/8 inches, loose in 15 1/4 x 11 3/4 inch cloth covered board portfolio with cloth ties. A scarce publication, the Plates portfolio is in very good condition (discolored streak to front of portfolio; only one of three tie clasps serviceable) while the plates themselves are, overall, in excellent condition with the slightest toning to edges, first plate has light edge wear. Thirty plates to illustrate the concepts outlined in William Ware's famous "Modern Perspective: A Treatise upon the Principles and Practice of Plane and Cylindrical Perspective," copyright 1882. In the preface Ware (of Columbia University) writes: "A new treatment of so old a theme would be uncalled for, did not even the elaborate treatises seem to be deficient in comprehensiveness and scientific simplicity, while the practical handbooks fail to make the reader acquainted with some methods that are found in experience to be among the most convenient and practical of all." He further observes "The plates that accompany the text have taken, altogether, quite as much time and labor in their preparation as the text itself..."
New York: G. W. Carleton & Co, 1883. Hardcover. Very Good. 527 pp. Index. 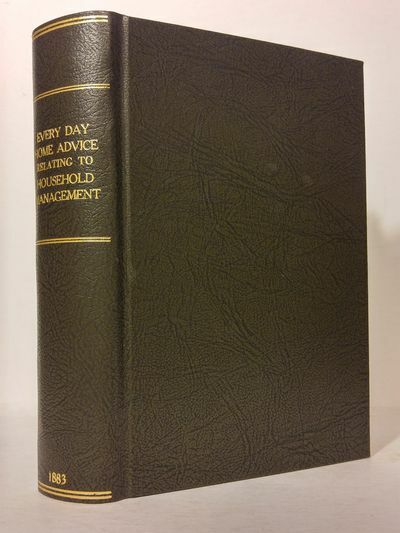 Newly rebound in faux brown leather with gilt titled spine, clean and sharp. Former library copy but with only two rubber stamp markings. Page margins age-toned, ink number at top title, page, else interior good, binding tight. Not illustrated. Scarce.Your purchase benefits literacy and summer reading programs in Cincinnati and Hamilton County, Ohio. We ship every business day. All books ship in cardboard bookfolds with delivery confirmation. Svenskt boklexikon. Åren 1830-1865. I-II. Stockholm, Hjalmar Linnströms förlag 1883-84. (Tryckt 1867-84). 4:o. (4),995,(1);(4),996 s. Ombunden i fyra svarta halvskinnband med fem upphöjda bind. Marmorerade snitt (ursprungliga). Volym två lite nött vid ryggens huvud och på två bind, i övrigt fina exemplar. 27 x 19 cm. 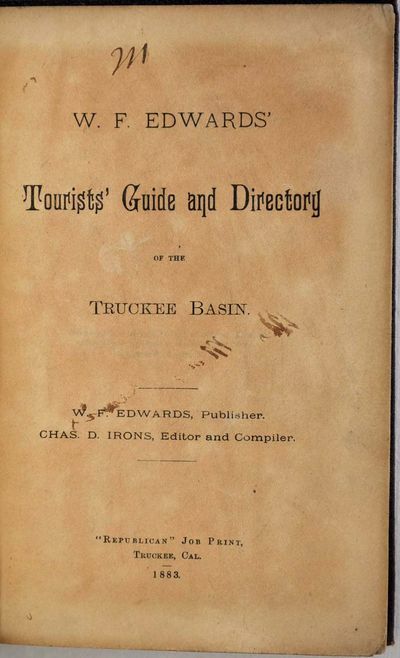 TOURISTS GUIDE AND DIRECTORY OF THE TRUCKEE BASIN. Truckee, CA: Republican Job Print, 1883. 138 pages of text and plates followed by 36 pages of advertisements. Original brown cloth binding is moderately rubbed and worn. Blank front endpaper and frontispiece is lacking. Illustrated with 10 plates, while some copies claim that there are 11 plates. However, one advertisement is illustrated. The title page is lightly browned, and has minor ink markings. Many pages have minor creases and handling wear, making this a somewhat rough copy. Howes E73 "aa"; Cowan Bibiography of CA page 192; Eberstadt 132:121; Norris 1046: "Extremely scarce. First book on the region, and antedating by a year Fulton?s directory of 1884, which heretofore has been accorded that distinction. It contains directories of Boca, Clinton, Truckee and Lake Tahoe, a history of Truckee, with sketches of the press, the 601 Vigilance Committee, the industries, deserted villages, etc." Paher, Nevada 539. Quebedeaux 38: "Considerable data furnished by McGlashan himself. The book is a valuable source for the history of the period." Rocq 5983. Streeter Sale 2982. Some of the prints are based on photographs by Truckee photographer H. K. Gage. First edition.. First Edition. Hardcover. Very good- condition. 12mo - over 6Â¾" - 7Â¾" tall. - Librairie Hachette, Paris 1883 - 1886, Fort Grd. in-8 (20x27,7cm), 795pp. et 700pp. et 794pp. et 764pp., 4 volumes reliés. - Edizione 4 volumi, pubblicati successivamente 1883-1886. Binding editor di spettacolare in generale decorazioni dorate, non firmato, ma nello stile di Engel. La metà dolore rosso di piatti calico rosse. Grande lamina d'oro sul retro con una quercia e 2 gigli e fleurdelysé cresta e le conchiglie di coda. Grande placca complesso sui piatti, con una piazza centrale azzurro piantato con gigli, e vari ornamenti ed emblemi della regalità di fissaggio di un arredamento che evoca il Medioevo; 4 ECU angolare 4 grandi province francesi. bordi dorati. Molto bella copia in uno stato quasi perfetto. 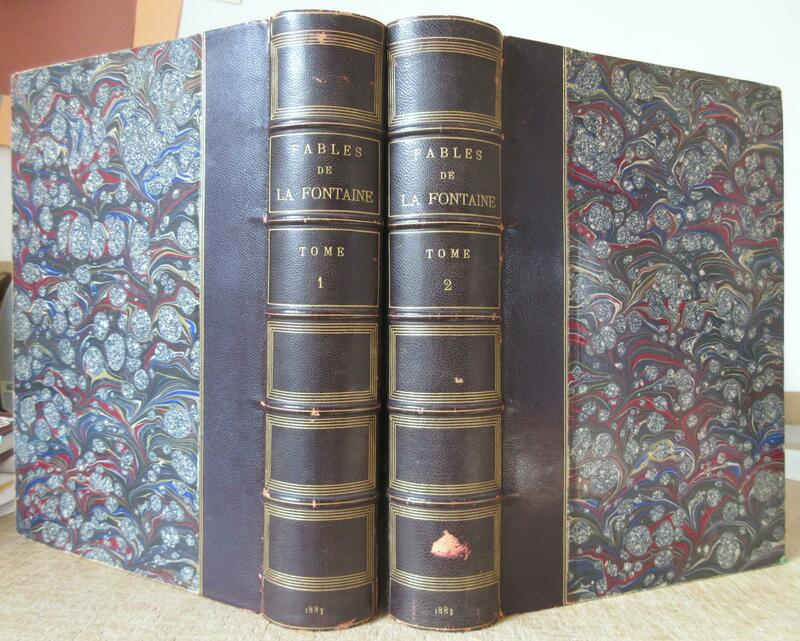 - [FRENCH VERSION FOLLOWS] Edition originale des 4 volumes, parus successivement de 1883 à 1886. Abondante et remarquable iconographie douée de 36 planches en chromolithographie, 187 planches et 1256 figures in-texte. Traduction et arrangement de Madame de Witt. Celle-ci a compilé les textes dans le but d'écrire une histoire chronologique. Reliure d'éditeur spectaculaire, à grand décor doré, non signée, mais dans le goût de Engel. Demi chagrin rouge à plats de percaline rouge. Grande plaque dorée sur le dos avec un chêne et 2 lys et un écusson fleurdelysé ainsi que des coquilles en queue. Grande plaque complexe sur les plats, avec un carré central bleu semé de fleurs de lys, et divers ornements et emblèmes de la royauté fixant un décor évoquant le Moyen âge ; 4 écus angulaires figurant les 4 grande provinces françaises. Tranches dorées. Quelques très pâles rousseurs éparses. Quelques très légères traces de frottement. Très bel exemplaire, dans une condition quasi irréprochable. Première série : les chroniqueurs de Grégoire de Tours à Guillaume de Tyr. Deuxième Série : Les chroniqueurs de Suger à Froissart. Troisième série : les chroniqueurs de Froissart à Monstrelet. Quatrième série : les chroniqueurs de Monstrelet à Commines. Intéressante publication qui réunit tous les grands textes historiques écrits avant la Renaissance, agrémentée d'une riche illustration. The Cultivation of the Olive. Hastings: J. Parsons, 1883. Octavo, 36 pp. (last blank), illustrated, limp cloth wrappers with printed titling label, as issued. Scarce treatise on olive cultivation by John Harris Browne (1817-1904), a physician who accompanied Sturt to the interior in 1844-1845. Some credit the survival of the expedition to Browne's capability in arduous circumstances.Brown arrived in South Australia in 1840, and turned away from medicine towards pastoralism and agricultural projects. Much of the information in this booklet is drawn from practical colonial experience (for example, Browne notes that many of the common diseases of the Olive tree in Europe are absent in South Australia). He writes in the preface 'the following notes of the cultivation of the olive have been collected, chiefly from the most recent French and Italian books on the subject, and are printed on the hope that more knowledge of the great value so justly attached to that tree in Europe may induce my fellow Colonists to largely extend its cultivation to South Australia.'. Fine condition. San Francisco. H.W. Faust. Map copyright June 1st., 1882. Cover date: 1883. 3rd Edition. Color street map, 16 x15 inches on sheet 17 1/2 x 16 1/4 inches, folding to 5 3/4 x 3 inches. Only front cover of thin card wrappers is present (lacks guide and back cover). 1 inch horizontal separation at most fold intersections, otherwise map is clean and bright. A scarce early edition of the map of San Francisco published over a period of many years by H.W. Faust, this copy dated on the map 1882 and on the card cover 1883 (3rd. edition). Lithographed by W.T. Galloway & Co. S.F. Scale 1500 ft. to 1 inch, compiled by P. Spitze, C.E. There is a small black and white inset map at the upper right corner "General View of San Francisco Bay." London John Murray 1883 Third Edition, complete in two volumes. Tall, thick 8vo's: cxxviii,501,; xv,,579, with two folding maps and numerous wood-engraved plates of antiquities and architectural remains and plans of the larger sites. 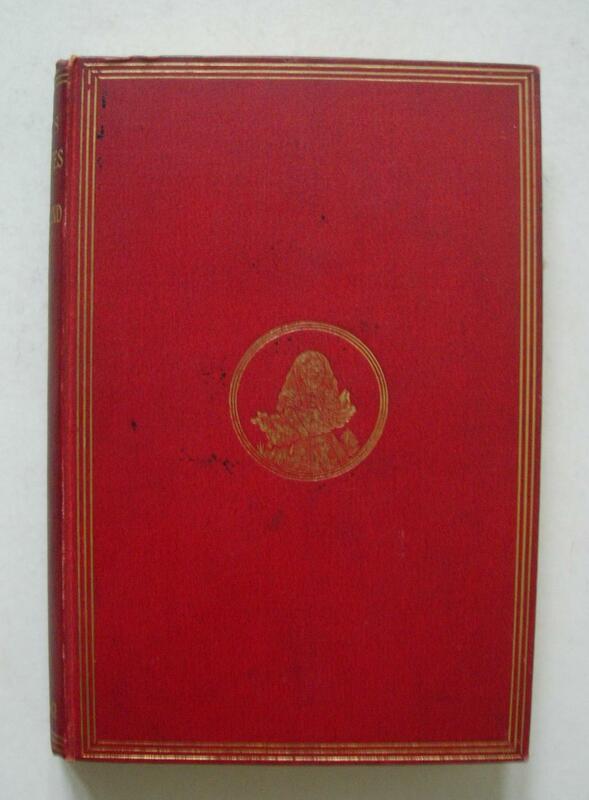 Publisher's green cloth, covers paneled in blind and stamped in gilt, spines decorated and lettered in gilt, fore-edges untrimmed, chocolate-brown end papers, title pages in red and black. Provenance: small book trade labels (Flor & Findel, Florence) to front paste downs, contemporary owner's elegant script ("Carol Gray / Firenze / Italia") to front fly leaves. An about Fine set, bindings square and tight with bright gilt; pages, maps, and illustrations clean, crisp and unmarked. Scarce thus. Fine- Dennis was the first modern investigator of ancient Etruria and Etruscan archaeological sites, and this, his magnum opus, is the most complete and authoritative 19th-century account of the ancient Etruscan civilization, first published in 1848. It was the result of his extensive travels in Etruria, often in the company of the artist Samuel Ainsley, exploring Tarquinia and other important Etruscan sites. Originally written as a guide for tourists, Dennis's study describes Etruscan antiquities in vivid detail, with major centers given separate section for each city and cemetery. N. B. With few exceptions (always identified), we only stock books in exceptional condition, carefully preserved in archival, removable polypropylene sleeves. All orders are packaged with care and posted promptly. Satisfaction guaranteed. Leipzig: Verlag von Veit & Co, 1883. viii+228 pages with diagrams and tables lacks frontispiece. Octavo (8" x 5 1/2") bound in 3/4 leather with black boards and gilt lettering to spine. (Bibliotheca Van der Linde-Niemeijeriana:5210) First edition.The city of Leipzig was the birthplace of the Deutschen Schachbund on July 18th, 1877. Over the next two years sixty-two chess clubs would become members of the foundling chess federation. Hofrat von Gottschall became the chairman of the federation and Hermann Zwanzig was made the general secretary. The Deutschen Schachbund reconvened at the SchÃ¼tzenhaus on July 15th, 1879. To commemorate the meeting, a Schachkongresse master's tournament was organized. This inaugural event was largely an internal affair. Three invitations went out to Austrian chess masters: Berthold Englisch, Karl Pitschel, and Adolf Schwarz. The remaining nine seats went to German chess masters: Louis and Wilfried Paulsen, Max Bier, Ernst Flechsig, Fritz Riemann, Emil Schallopp, Arnold Schottlaender, Johannes Von Minckwitz, and Carl Wemmers. The field and format were extremely limited, with two rounds being played on most days of the tournament. Records have been such that ten of the sixty-six games have not survived to the present day, and therefore they have been omitted from this collection. However, what began with the Deutschen Schachbund in Leipzig in 1879 would in the next two years evolve into one of the stronger and more widely recognized of international chess competitions the world would see over the course of the latter 19th century. Berthold Englisch won this event with 9 wins out of his eleven games.Condition:Rebound in three quarter leather, lacks frontispiece portrait else a very good copy of a scarce tournament. London: Jas Wade, 1883-1884. iv+380 pages with illustrations, diagrams, tables, and index. Royal octavo (9 3/4" x 6 1/4") bound in quarter brown leather with gilt lettering to spine and blue marbled boards. From the library of Dino Ruggieri. Volume V (5). (Betts: 7-25). First edition.The Chess Monthly of Great Britain was one of the first to give properly annotated games. The principal editor, Leopold Hoffer, was helped enormously by having J H Zukertort as co-editor until his death in 1888. There were four regular sections: news, annotated games, problems and endgames. In addition, Hoffer carried on a profoundly bitter feud with his one-time benefactor, Steinitz. This publication should not be confused with The Chess Monthly published in the United States which was short lived from 1857-1862 and edited by Fiske and Morphy.Dino Ruggieri was born in, PigÃ¼Ã© a small city in the Buenos Aires province, October 22, 1921. His parents were both Italians, natives of Porto D'Ascoli. In their early years in Argentina, the Ruggieriâ€™s family lived in the country, located about 45 miles from PigÃ¼Ã©. The family was engaged in agriculture. When Ruggieri was 8, his father purchased a home in PigÃ¼Ã©, where he lived until 2008. In 1938 he was involved in an accident and he was transferred to Buenos Aires for recovery. This was the beginning of his hobby of chess, both as a player over the board and by correspondence, but as well as a major collector of chess materials. After his recovery he became a prominent local chess player and very good representative in postal chess, where he represented Argentina in matches against Italy, Yugoslavia, Holland and other countries. He was using the correspondence with his rivals to offer exchanges. Ruggieri was related to Mr Niemeijer and soon began exchanging materials and making important purchases. He also had frequent contacts with Gregorio Lastra, Normando Ivaldi, Gaspar Soria and Carlos De Veyga, all known collectors of chess. He died in 2009 in 2009 at the age of 88.Condition:Corners bumped, Ruggieri's stamp to front end paper, some foxing else a very good copy of a scarce item. [Killarney Lakes] Bacon, George W.
New Large Scale Ordnance Atlas of the British Isles [including Ireland]. With Plans of Towns, Copious Letterpress Descriptions, Alphabetical Indexes and Census Tables. Edited and Published by George W.Bacon. 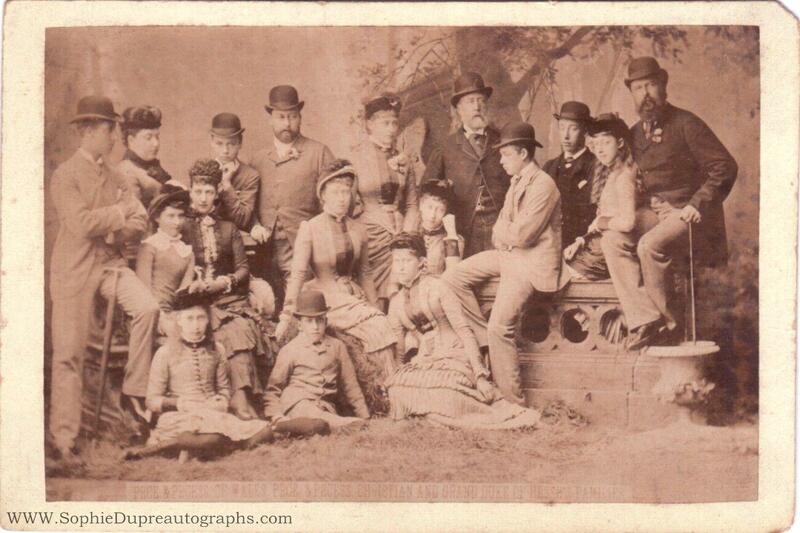 Boston: James R Osgood and Company, 1883. 624 pages with frontispiece and over 300 black and white illustrations. Royal Octavo (9" x 6 1/4") Issued in the original brown cloth with gilt lettering and pictorial on spine and black and gilt lettering with pictorial on cover. Lacks the illustration of Twain's head in flames on page 441, and the corrected "St Charles Hotel" on page 443. Simultaneously published in 1883 in the United States and Great Britain, the book is the first submitted to a publisher as a typewritten manuscript (BAL 34II) Second state of the first American edition. Twain once remarked that he considered this book his masterpiece, the book that would outlive his other works and endure as a classic. Of course, Twain once defined a classic as a book everybody talks about but nobody ever reads. At first glance it seems to be a travel book, but it is really a highly readable discursive autobiographical account of Twain's boyhood and his region, and of a culture that radically changed since he left home 30 years earlier. It makes good reading as background for Huck Finn. The only thing that is known of the printing history is what Twain wrote in 1891: that 50,000 copies were printed and bound, but only 32,000 sold. Implication is that the unsold copies were reissued by Charles L Webster between 1884 and 1891 when he took over Osgood's stock. Copies are found with Osgood's sheets and Webster cancel title-page, in Webster bindings, dated 1888 and 1891. 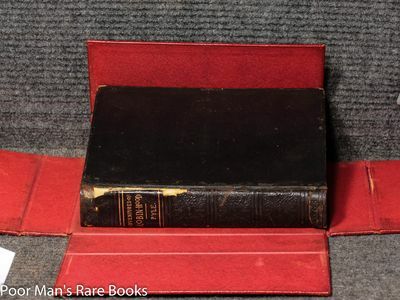 As a subscription book, this book was similar in size to the hefty tomes of the American Publishing Company, but the handsome pictorial brown cloth binding ranks with the binding of Huck Finn as one of the best on a Twain first edition. It could be ordered with gilt edges, in full sheep, three-quarter morocco, and three-quarter calf. (MacDonald: Firsts. )This is a memoir by Mark Twain of his days as a steamboat pilot on the Mississippi River before the American Civil War, and also a travel book, recounting his trip along the Mississippi River from St. Louis to New Orleans many years after the War. The book begins with a brief history of the river as reported by Europeans and Americans, beginning with the Spanish explorer Hernando de Soto in 1542. It continues with anecdotes of Twain's training as a steamboat pilot, as the 'cub' (apprentice) of an experienced pilot, Horace E. Bixby. He describes, with great affection, the science of navigating the ever-changing Mississippi River in a section that was first published in 1876, entitled "Old Times on the Mississippi". Although Twain was actually 21 when he began his training, he uses artistic license to make himself seem somewhat younger, referring to himself as a "fledgling" and a "boy" who "ran away from home" to seek his fortune on the river, and playing up his own callowness and naÃ¯vetÃ©. In the second half, Twain narrates his trip many years later on a steamboat from St. Louis to New Orleans. He describes the competition from railroads, and the new, large cities, and adds his observations on greed, gullibility, tragedy, and bad architecture. He also tells some stories that are most likely tall tales. In 1980 the book was adapted as a TV movie for American public television, with David Knell performing as Sam Clemens, and Robert Lansing as Horace Bixby, the steamboat pilot who mentored him. The film used many tall tales from the book, woven into a fictional narrative. In 2010, Life on the Mississippi was adapted as a stage musical, with book and lyrics by Douglas M. Parker and music by Denver Casado. It was produced that year in Kansas City, Missouri and Door County, Wisconsin. Condition:Recased in original spine, some occasional foxing and finger soiling, one signature slightly sprung else a very good and bright copy. Signed by the artist with initials and with the composer's name to upper right corner. Undated, but most probably Vienna, ca. 1920. Executed in black pencil on the blank side of a sheet of stationery carrying the letterhead of Universal Edition in Vienna. 286 x 222 mm. "[Milhaud] was associated with the avant garde of the 1920s, whose abundant production reflects all musical genres. A pioneer in the use of percussion, polytonality, jazz and aleatory techniques, his music allies lyricism with often complex harmonies. Though his sources of inspiration were many and varied, his music has compelling stylistic unity." Jeremy Drake in Grove Music Online. Etude sur la restauration de la lèvre inférieure, suivie de la description d'un nouveau procédé pour refaire le bord libre au moyen d'un lambeau muqueux en forme de pont. Lyon, Duc, Demaison, 1883. ____ Seule édition. Illustré par quatre photographies originales collées : deux d'après des dessins et deux montrant le visage d'un patient. ***** Only edition. This small work on plastic surgery is very rare. Illustrated by 4 actual photographs, 2 after drawings and 2 showing the patient face. Pictures a bit faded, last leaves disbound, but a fine copy. Inscribed on cover : "M. de Santi. Donné pour une analyse soignée de ce travail" In-8. Collation : 77, (4) pp., 3 planches h.-t. Broché, couverture imprimée. An Essay on the Genius of Geo. Cruikshank. London: J. F. Dexter, 1883. Octavo. 60pp. Reprints Thackeray's text as it first appeared in The Westminster Review in 1840. This is an extra-illustrated copy with 79 plates taken from books illustrated by Cruikshank, of which twenty-three are in color. An etched portrait of Cruikshank by F. W. Pailthorpe appears on an engraved title page. In full purple crushed morocco by Morrell with wide double-ruled upper and lower panels, spine with Art Deco-style floral tooling in four compartments, and gilt turn-ins. Spine sunned, oil offsetting from binding to upper margin of preliminary leaves. Overall, a near fine copy. T.e.g. - Alden & Landis 699/146; Church 783; for the bindery: Du Bois, Historical essay on the art of bookbinding, 1883, p. 35. Third edition known to survive in the original Latin of a letter on the success of spreading the Gospel among the indigenous American Indians, written by Increase Mather, the second of three generations of famous Puritan ministers in Boston and rector of Harvard College, addressed to Johannes Leusden, Professor of Hebrew at the University of Utrecht in the Netherlands. The letter is dated from Boston, 12 July 1687. 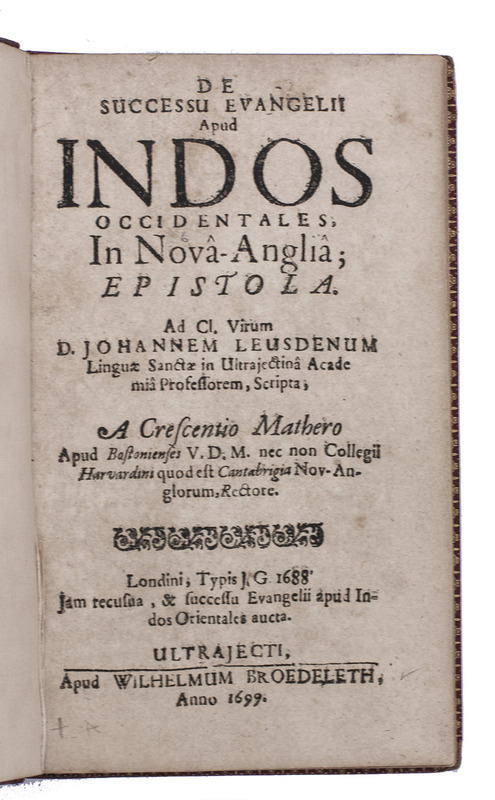 The present Utrecht edition adds letters to Leusden on the progress of spreading the Gospel among the populations in Ceylon and the East Indies, written by Herman Specht (1684; 1688), Adrianus de Mey (1690; 1692) and Franciscus Valentijn (1686). These additional letters appear here in the first edition of the original Latin known to survive.The work is bound by the Bradstreet Bindery in New York. John M. Bradstreet (1815-1863) established one of the first credit rating companies and they apparently came into bookbinding through their publishing activities, but when Henry and his siblings took over the firm "fine binding" was largely a European phenomena, William Matthews in New York being the only major American exponent. They carried out work for J.P. Morgan, the Grolier Club and other bibliophiles. In 1883, Du Bois praised their bindings higher than any others in America, noting their "solidity, strength and squareness of workmanship . Certainly none can put a varied coloured morocco coat on a book, and gild it with greater perfection in choice of ornament and splendor of gold, and with greater care, taste and success, .". He even hints that they might excel the French and English, then regarded as the best binders. Church's copy of the present edition was also bound by Bradstreet, but in green morocco.Slightly browned, but still in very good condition. The binding has been expertly and unobtrusively rebacked, with the original backstrip laid down, and the corners are scuffed, but the binding is otherwise very good. Histoire des jardins chez tous les peuples depuis l'Antiquité jusqu'à nos jours. Dessins par Anastasi, Daubigny, V. Foulquier, Français, W. Freeman, H. Giacomelli, Lancelot. 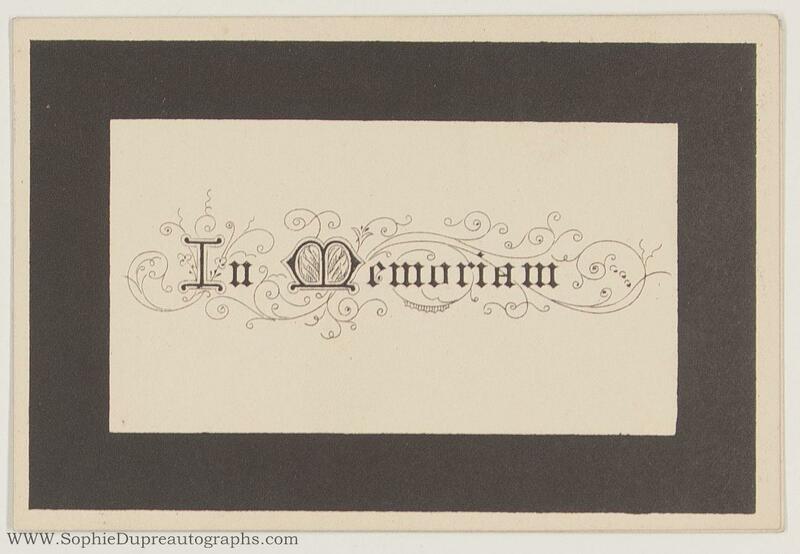 Tours, Mame, 1883. ____ Magnifique cartonnage illustré, très frais. Illusé pa de très nombreuses gravures in et hors texte.*****. In-folio. Collation : (4), 444 pp. Cartonnage illustré de l'éditeur. 24mo., in landscape and portrait format, and small 8vo. ; a fine collection of 14 individual Kate Greenaway almanacks, 1883-1891, 1893 and 1925; each volume presented in the original binding, either leather, pictorial wrappers or glazed pictorial boards, and each illustrated throughout with woodblock vignettes in colours, by Greenaway; 1883 in leather with gilded edges; with 3 examples of 1884 in different variant bindings (pictorial wrappers, cream wrappers gilt with original glassine, and lime green wrappers); 1885 in 2 variants (original white grained cloth gilt and pictorial boards with original printed dustwrapper); 1886 in white cloth to simulate morocco, 1887-1890 in pictorial boards, 1891 and 1893 in pictorial boards and printed dustwrappers, and 1925 in glazed boards, all presented in a cleverly fashioned, and early, olive green cloth-covered presentation box, with onlaid leather label lettered and decorated in gilt to lid; in lovely condition throughout with very small signs of use, 1883 with some rubbing to joints and edges, the dustwrappers with minimal wear and one small flap adhesion, and the de luxe 1884 edition with the neat leather Ex Libris label of Estelle Doheny to inner cover. First editions. A nearly comprehensive collection of these delightful annual almanacks which began in 1883, containing all but one of those issued during Greenaway's lifetime, without 1897. No almanack was issued in 1896. After the artist's death Routledge continued to reuse the illustrations in almanacks dated between 1924 and 1929. Les Vignettes Romantiques Histoire de la litterature et de l'art 1825-1840. Paris, Dentu, 1883, gd in 4°, de VIII-438 pp. et 1 f. (annonces), ill. de 150 vignettes in t. de C. Nanteuil, T. Johannot, Devéria, Gigoux, C. Rogier, etc.. et de 9 planches h. t. sur papier Japon, demi-maroquin bleu époque à coins, couv. cons., t. dorée. 1 des 100 exemplaires de tête sur vergé de Hollande (avec 25 Japon). Bel exemplaire à grandes marges truffé du prospectus d'annonce (4 pp.) et de 14 vignettes romantiques sur chine volant rajoutées h.t. dont certaines épreuves pour le livre. Edition originale. L'ouvrage est suivi d'une bibliographie complète des romans, drames, poésies ornés de vignettes de 1825 à 1840. ¶ Carteret III, 142 - Vicaire II, 209 "Il existe pour cette publication un prospectus illustré du format du livre (4pp.)" 45 original vintage photographs of prominent early 20th-century singers by the noted New York photographer Herman Mishkin, official portraitist of the Metropolitan Opera from 1908-1932 and foremost portrayer of Golden Age opera singers. Together with 7 later reprints. - Bori, Lucrezia (1887-1960). Bust-length portrait of the Spanish soprano. Ca. 203 x 151 mm. With handstamps of Miskell & Sutton in Cleveland and the Lakewood Public Library to verso. - Bori. Full-length portrait as the Duchess of Towers in Deems Taylor's Peter Ibbettson. Ca. 224 x 167 mm. - Bori. Full-length portrait in the title role of Thomas's Mignon. Ca. 203 x 152 mm. With handstamps of Donald C. Dougherty Management in Cleveland and the Lakewood Public Library to verso. - Bori. Waist-length portrait as Manon. Ca. 203 x 152 mm. - Bori. Bust-length portrait as Norina in Donizetti's Don Pasquale. Ca. 202 x 152 mm. - Branzell, Karin (1891-1974). Bust-length portrait of the Swedish contralto as Brangaene in Wagner's Tristan und Isolde. Ca. 198 x 153 mm. - Case, Anna (1889-1984). Bust-length portrait in profile. Ca. 178 x 121. Trimmed. Laid down to black backing paper. With another photograph, ca. 141 x 108, being a full-length informal portrait with a dog and four other women, one of whom is dressed in a Native American costume, to verso. - Case. Bust-length portrait. Ca. 202 x 152 mm. - Caruso, Enrico (1873-1921). Full-length portrait of the Italian tenor as Canio in Leoncavallo's Pagliacci. Ca. 214 x 126 mm. Trimmed at lower margin. - Caruso. Full-length portrait as Don José in Bizet's Carmen. Ca. 205 x 125 mm. Trimmed at upper and lower edges. - Destinn, Emmy (1878-1930). Three-quarter-length portrait of the Czech soprano as Santuzza in Mascagni's Cavalleria rusticana. Ca. 224 x 160 mm. Laid down to cream cardstock; trimmed. With the photographer's information embossed to lower left portion. - Easton, Florence (1884-1955). Three-quarter-length portrait of the English soprano. With "Florence Easton Prima Donna Soprano Metropolitan Opera Company" typed to verso. Ca. 176 x 126 mm. - Farrar, Geraldine (1882-1967). Three-quarter-length portrait of the American soprano in the title role of Bizet's Carmen. Ca. 200 x 149 mm. Laid down to ivory cardstock. - Fleischer, Edytha (born 1898). Full-length portrait (kneeling) of the German soprano as Hänsel in Humperdinck's Hänsel und Gretel. Ca. 203 x 152 mm. - Fleischer. Head and shoulders portrait. Ca. 203 x 151 mm. With handstamp of Miskell and Sutton to verso. - Gatti-Casazza, Giulio (1869-1940). Bust-length portrait of the Italian impresario and general manager of the Metropolitan Opera. Ca. 203 x 152 mm. With date "Mar 23 1959" handstamped to verso. - Gigli, Beniamino (1890-1957). Bust-length portrait of the Italian tenor as Faust in Boito's Mefistofele. Ca. 191 x 139 mm. - Jeritza, Maria (1887-1982). Waist-length portrait of the Moravian soprano in the title role of Bizet's Carmen (Act III). Ca. 238 x 189 mm. Laid down to mount, ca. 246 x 198 mm. - Jeritza. Three-quarter-length portrait in church as Eva in Wagner's Die Meistersinger. Reproduction (by Mishkin) of an older photograph by Setzer in Vienna. Ca. 221 x 169 mm. With date "Feb 18 1961" handstamped to verso. - Johnson, Edward (1878-1959). Bust-length portrait of the Canadian tenor, impresario, and general manager of the Metropolitan Opera. Ca. 202 x 152 mm. - Manski, Dorothee (1891 or 1895-1967). Three-quarter-length portrait of the German-American soprano as the witch in Humperdinck's Hänsel und Gretel. Ca. 203 x 152 mm. - Martinelli, Giovanni (1885-1969). Bust-length portrait of the young Italian tenor. Ca. 202 x 152 mm. - Martinelli. Waist-length portrait as Eléazar in Halévy's La Juive. Ca. 256 x 203 mm. - Matzenauer, Margaret (1881-1963). Bust-length portrait of the American contralto as Kundry in Wagner's Parsifal. Ca. 190 x 117 mm. - Melchior, Lauritz (1890-1973). Full-length portrait of the Danish tenor with a lyre in the title role of Wagner's Tannhäuser. Ca. 253 x 203 mm. - Merli, Francesco (1887-1976). Bust-length portrait of the Italian tenor. Ca. 203 x 150 mm. With handstamp of the Metropolitan Opera Press Bureau to verso. - Pinza, Ezio (1892-1957). Bust-length portrait of the Italian bass as Oroveso in Bellini's Norma. Ca. 203 x 152 mm. - Renaud, Maurice (1860-1933). Bust-length portrait of the French baritone as Mephistopheles in Berlioz's Le damnation de Faust. Ca. 197 x 124 mm. - Rothier, Léon (1874-1951). Bust-length portrait of the French bass as Count des Grieux in Massenet's Manon. Ca. 203 x 151 mm. - Rothier. Full-length portrait as Dr. Miracle in Les Contes d'Hoffmann. Ca. 203 x 152 mm. - Ruffo, Titta (1877-1953). Bust-length portrait of the Italian baritone. Ca. 203 x 151 mm. With handstamp of the Bain News Service in New York to verso. - Scotti, Antonio (1866-1936). Full-length portrait of the Italian baritone as Chim-Fang in Franco Leoni's L'Oracolo. Ca. 203 x 132 mm. - Scotti. Bust-length portrait as Barnaba in Ponchielli's La Gioconda. Ca. 192 x 148 mm. - Sundelius, Marie (1884-1958). Bust-length portrait of the Swedish-American soprano. Ca. 203 x 152 mm. - Bori, Lucrezia. Full-length portrait as Juliette in Gounod's Roméo et Juliette. - Bori and Beniamino Gigli. Full-length portrait as Madga and Ruggero in Puccini's La rondine. - Muzio, Claudia (1889-1936). Full-length portrait of the Italian soprano as Violetta in the second act of Verdi's La Traviata. - Ponselle, Rosa (1897-1981). Full-length portrait of the American soprano in the tile role of Bellini's Norma. - Ponselle. Full-length portrait in the title role of Ponchielli's La Gioconda. - Ponselle. Full-length portrait as Maddalena in Giordano's Andrea Chénier. - Amato, Pasquale (1878-1942). Waist-length portrait of the Italian baritone as Scarpia in Puccini's Tosca. In very good condition overall. Common minor defects include occasional signs of wear such as creasing, cracking, rippling, foxing, staining, bumping, pinholes, trimming, and remnants of former mounts. Some also carry annotations, most often directly related to the singers and/or roles portrayed. Some laid down to mount. Born in Minsk, Russia, Mishkin emigrated to the United States in 1885. As the official portraitist of the Metropolitan Opera from 1908 until 1932, he became the foremost portrayer of Golden Age opera singers. While photographing opera stars for the Metropolitan, he maintained a portrait studio frequented by many of the most significant performing artists of the day. "In certain respects, he had the most difficult task of any theatrical photographer of the early 20th century for he was constantly having to temper the hyperbolically dramatic poses that opera singers employed on the vast stages of Europe and America so that they didn't appear ludicrous shot from a twelve-foot distance. His subjects were among the least tractable persons to instruction in the performing arts, and were generally infected with decorative sensibilities. That Mishkin was able to satisfy his sitters and adjust to the increasingly less ornamental aesthetic of modern photography was a testament to his tact and flexibility." Broadway Photographs online. October 13, 1883 - May 9, 1885. A near-complete run of 51 numbers from the onset of publication (lacking one number only), each with a fine original photograph of the "artiste" to whom the issue is dedicated tipped-in to first page of text. Large folio. Quarter dark red morocco with red textured cloth boards, "Paris-Artiste" gilt to upper, raised bands on spine in decorative compartments gilt, titling gilt. Subjects include contemporary singers, actors, dancers, and literary figures, with average size 190 x 120 mm. Photographic credits include van Bosch, Benque, Carjat, Chalot, Goupil, Lemercier, and Nadar. With the bookplate of Pierre Berezzi to front free endpaper. Binding worn, rubbed, bumped, and stained. Some browning and minor foxing; occasional small tears; several leaves creased. In very good condition overall. Lacking only no. 28 in a sequential run of 51 numbers. This rare periodical apparently ceased publication in 1886 with No. 85 (the only complete run is held at the Bibliothèque Nationale; incomplete runs at the Rijksmuseum, the National Library of Sweden, the Getty, and Ohio State). Zweites Album für die Jugend. Mit Autograph auf Vorsatz von Clara Schumann! 1883! Robert Schumann Zweites Album für die Jugend. Mit Autograph auf Vorsatz von Clara Schumann! 1883! Buch in gutem Zustand, leichte altersbedingte Gebrauchsspuren vorhanden! Inklusive Extra-Heft: Nachtstücke für das Piano-Forte. Ein sehr seltenes Original-Exemplar! Nur für Sammler und Liebhaber!